The bride preparation is usually where I start photographing the day from.Jo was absolutely gorgeous and thrilled to meet her Groom in short time.During this time I could enjoy taking some photos of the rings, jewellery, the wedding shoes as well as the wedding dress.For this purpose I am using a dedicated Nikon Macro Lens which captures every detail in 1:1ratio and produces stunning photos. Cocktail Hour and Congratulations to the happy new weds.This is time when I cannot stop taking beautiful photos, smiles, happiness and lots of positive vibes- and yes all these are in the photos to be treasured forever.My style is relaxed and natural and I am using exclusively branded Nikon equipment, which delivers excellent results without a failure. There is time set for the group photos of course – it proves to be a challenging time for me – the photographer -but I usually have someone from the close family to help with gathering the people.I make sure we discuss the possibility of the big group shot before the wedding as we need an elevated terrain or a window I can go to so that everyone can be in the frame and in focus. Bride &Groom Portraiture is favorite time of the day for me as Photographer – all the beauty of the day in two people who are spreading love !I absolutely love it. 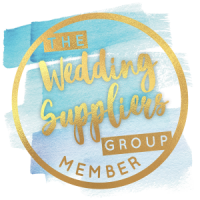 As owner and wedding photographer at Truly Natural Photography I am commited to maintain high standards of the service and product I offer – Truly Natural Photography is featured by The Wedding Supplier Group UK, Bridebook,B2B,Wedding Wire and Poptop. The time for the speeches is when emotions are running high.There are some happy tears , hugs ,many precious memories to be shared …I love this moments too and I am absolutely concentrated to capture as many as possible. And of course the time to celebrate in full dance swing. Fore more information about prices and how to book ,please visit the pages ‘Info and Prices’ and ‘Contact’.